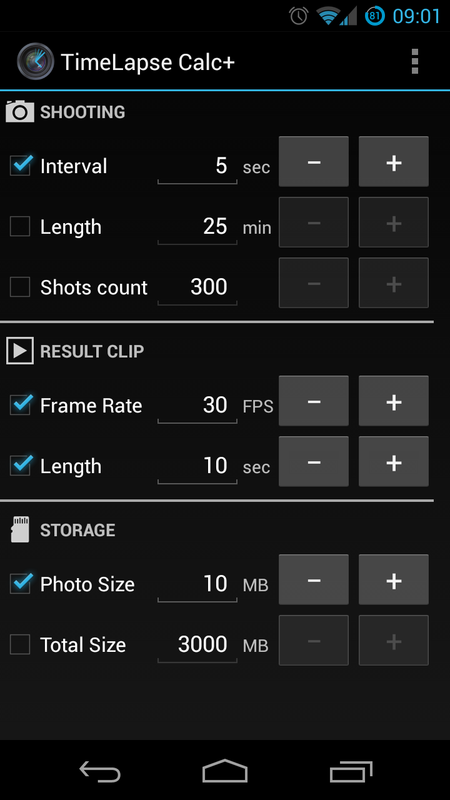 TimeLapse Calc+ for Android is out! I'm very excited to announce that today I released first version of TimeLapse Calc+, which is TimeLapse Calculator for Android. 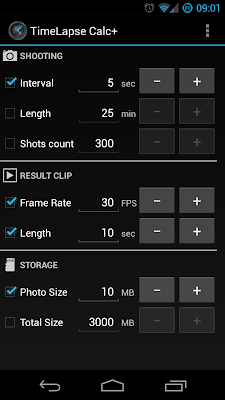 It's build for time-lapse photographers to set or calculate any attribute of shooting of time-lapse video (interval, length, shots count), result clip (frame rate, length) and required storage (photo size, total size). You just need to set any attribute you know (or want to achieve) and app will calculate other attributes for you). I believe it's the most flexible app for this purpose on Google Play and hopefully you'll find out the same! I'm looking forward to any feedback!